Abimees Grupp OÜ was formed in the beginning of the year 2001 with assessed contribution 100000 kroons. Our main activities are: installation and repair of home appliances, sale of the spare parts and accessories. We repair washing machines, refrigerators, gas and electric cookers, electric water heaters, microwave ovens and vacuum cleaners. We install washing machines, gas cookers, electric cookers, electric water heaters and other similar appliances. Telephone, e-mail, mobile phones and cars. We perform warranty repair for the following brands: AEG, Electrolux, Zanussi. We also repair the appliances of Hoover, Bosch, Siemens, Whirlpool, Ignis, UPO, LG, Samsung, Atlantic, Thermor, Otsein, Zerowatt, Brandt, Bomann, Beko, Ardo, Fagor, Hotpoint, Teba, Tatramat, Snaige, Atlant, Minsk, Blomberg, Polar, Starkke, Stinol, Rosenlew, Elektro-Helios, Vjatka, Siltal, Eurotech, Bompani, Ariston, Indesit, Alma, Nardi, Iberna, Schlosser, Rosieres, Candy. Communication in the Estonian, the English, the Russian and the Finnish languages, skilled consultations. Equipped with mobile phones, cars and tools. Electronic database of the spare parts. 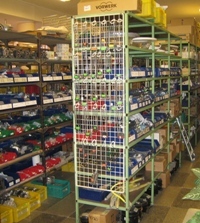 More than 2000 different kind of spare parts in the warehouse. Over 100 clients with contract. All necessary equipment for diagnostics and repair of the home appliances. Tools used for repair of the refrigerators are all from Swiss company "Refco". We repair refrigerators using R134a and R600 freons. All appliances which are bought from the shops listed above are installed and repaired by Abimees Grupp OÜ. Also, please contact us if you need to repair home appliances.